Five second-half goals saw the division’s form team Southport turn around a one-goal half-time deficit to claim a 5-1 win and follows on from similar humblings at the hands of Kidderminster and AFC Telford. “After looking back at the 90 minutes, from 46 minutes to an hour it was a pretty even game. “Then to concede three goals in ten minutes is bitterly disappointing. “It reminded me of Kiddy. “Don’t get me wrong, some of it was down to good play. 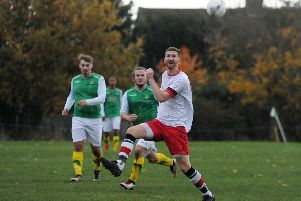 Three goals in 13 second-half minutes did the damage on Saturday and Holleran admitted his side showed an alarming lack of resilience. “It’s disappointing we didn’t get through that period and we have to be harder to beat and more compact. It was all a bit too easy. “We had three of the back four out but I thought the team we put out was good enough to compete. “From where we were in the game at 1-1 to go to 4-1 is poor from us. 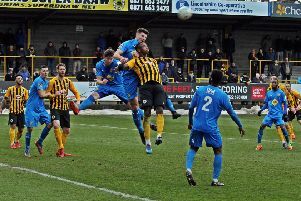 Brakes are on the road again on Saturday, with Connor Gudger and Jamie Hood sitting out the final games of their three-match bans at Boston, before hosting Stockport County on Tuesday.